Glorifying God in words and action! Listen Live, Chat and Connect! Visit the Archives, Show Pages and Host Pages! 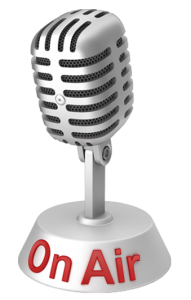 Host a public or private Radio show, Podcast or Teleseminar! Welcome to the Radio Network of Christian Women Affiliate! Whether you’ve dropped by for more information on how to reach your audience through radio, or you’re stopping in to catch up on your favorite shows in our archive, we are so glad you’re here. Our platform allows hosts to broadcast from anywhere with our premium services, studio app and online studio. Each show hosted through The CWA Radio Network is independent of Christian Women Affiliate, LLC. This means every host is responsible for their show, their words and their guests. We are proud to be an avenue for these talented Christian women to broadcast their message and ministry to others. You’re invited to Listen in, or Apply to Host.